The Nigerian Minister of Finance, Kemi Adeosun, announced on Sunday that the whistleblower who led the Economic and Financial Crimes Commission (EFCC) to an Ikoyi, Lagos apartment where over $43.4m was stashed will receive their payment from the federal government soon. She noted that the federal government has not withheld any funds due to whistleblowers and emphasized that the Ikoyi whistleblower is a part of the next batch of payments. The minister made this clarification in a press statement signed by her Special Adviser on Media, Oluyinka Akintunde, following reports that the Ikoyi whistleblower threatened to sue the Nigerian government over the non-payment of the whistleblower reward. 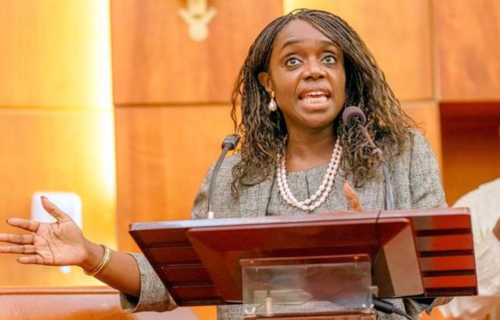 “The attention of the Honorable Minister of Finance, Mrs. Kemi Adeosun, has been drawn to media reports surrounding the payment to a whistleblower who provided the tips that led to the recovery of funds stashed away in a property in Ikoyi, Lagos State. “The Ministry has in place detailed procedures for processing payments due under the whistleblower policy. The procedures were designed to prevent abuse and legal disputes and to ensure protection of the information providers. “These procedures include an application by the agency who recovered the funds, including evidence of the recovery, confirmation that there are no pending legal issues on the recovery, verification of the identity of the information provider, calculation of the amount payable and computation of relevant taxes,” the statement read in part. She stated that the Nigerian government’s whistleblowing policy remains one of the current administration’s most successful initiatives and that the government is fully committed to ensuring that all those who responded to the policy and partnered with the government in the recovery effort are paid in full and have their identities protected. The whistleblower policy was introduced in December 2016 by the federal government as part of its anti-corruption agenda.